Tara, from SewTara.com swung by yesterday for a little visit and some sewing fun. She brought along a cute yellow jersey fabric with tiny little hearts and whipped up my favorite easy peasy 1 hour drawstring skirt. She did a great job, doesn’t it look cute? I managed to finish up a few drawstrings for skirts I’d already made and created one more triangle as well as cut a slew of strips and centers. At noon we hopped in the car and drove to Fabricland where Tara bought a sweet yellow and turquoise Dear Stella leaf print to make another easy drawstring skirt and I grabbed some Warm & Natural for 50% off. After filling our tummies with all you can eat sushi, we returned to my place and jumped into the wading pool to cool off. We had a lot of fun gabbing and doing sewey stuff and hope to do it again next month. 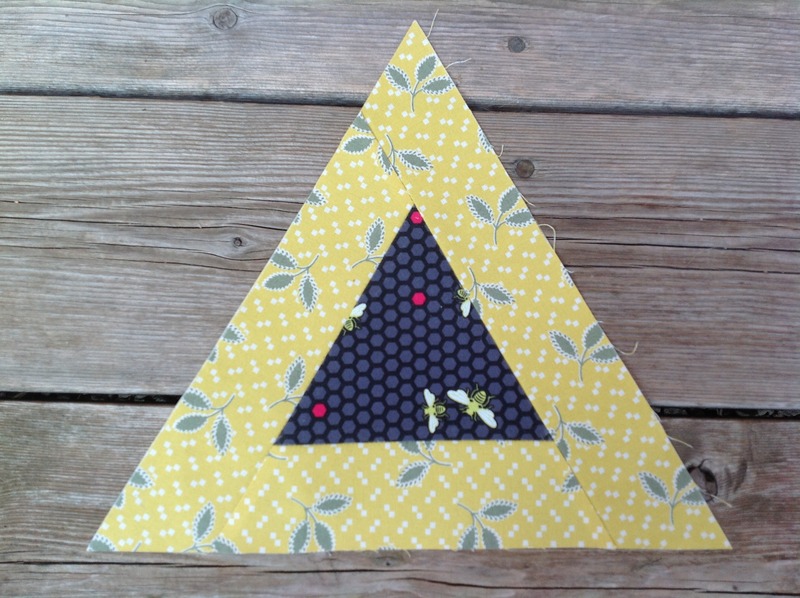 Today I plan to make more triangles, piece the backing for my In Reverse quilt and maybe even start another new project. 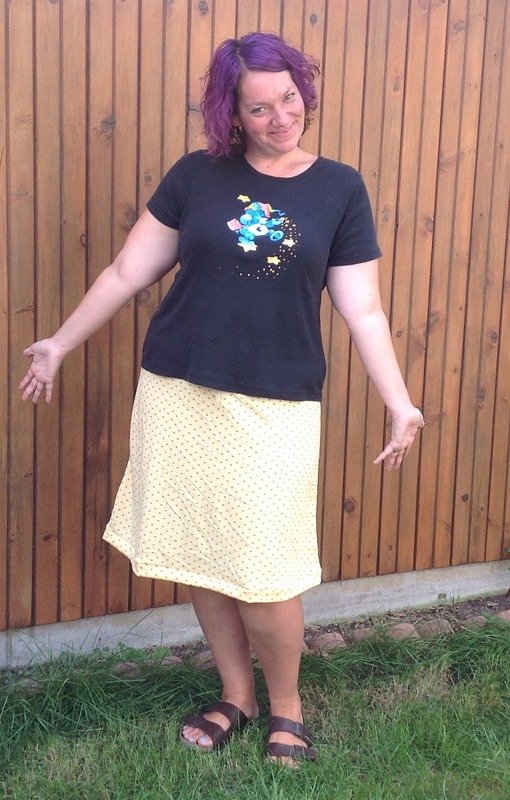 This entry was posted in Fabric, Fabricland, Sew Tara, Skirts by Tabatha. Bookmark the permalink.